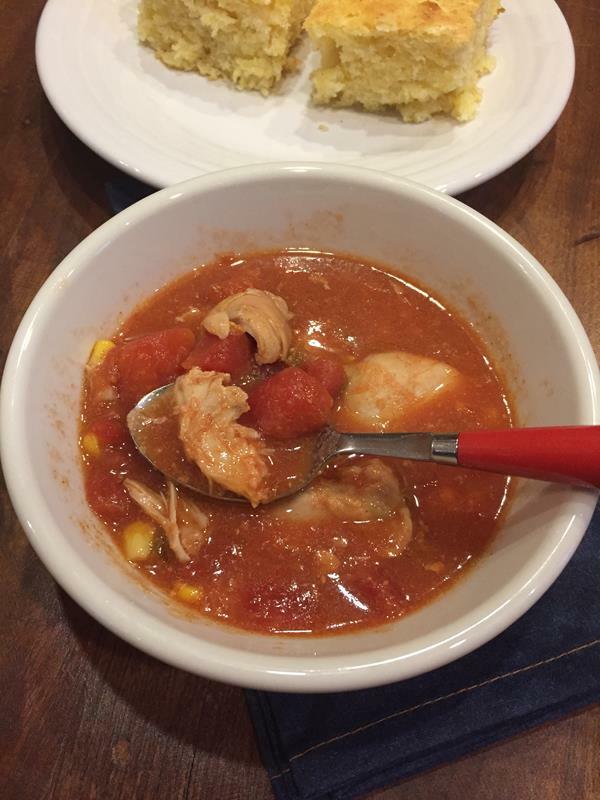 Easy slow cooked chicken chili without beans is a simple meal that is delicious! I made this soup a month or so ago when I was sick. There were multiple of us in the family sick and I just dumped stuff in the slow cooker and hoped for the best. When I tasted it just before dinner, I knew I needed to take pictures so that I could share the recipe with you. I did not take the time to get really good pictures. Actually, I did not feel well enough to take the time to get good pictures, so today you get less than perfect pictures. Don’t let that stop you from making this though. We loved this chicken chili. When I share recipes like chili or taco soup without beans I get two kinds of comments and emails. I get some that can’t believe I would leave the beans out of chili or taco soup. But I also get others that thank me for sharing recipes without beans because some of you avoid beans for health reasons. For those of you that avoid beans this recipe is one that I think you will love. If you love beans and don’t understand why I would leave them out, feel free to add a can or two of beans to this recipe. It would be delicious with beans added to it. Easy slow cooked chili without beans. Add remaining ingredients to slow cooker and stir. Cook on low for 6-7 hours or on high for 4 hours. Or until chicken is done. Break chicken apart or shred for serving soup. Serve with cheese, sour cream, etc.